Hans-Böckler-Allee, a street in Hanover also known for its frequent traffic jams, is currently being upgraded in conjunction with the new Continental headquarters under construction in this area. 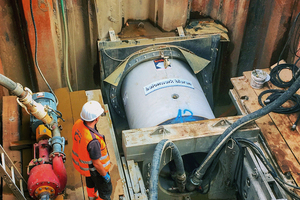 As part of the sewer rehabilitation and expansion project, Betonwerk Bieren was commissioned with supplying reinforced-concrete jacking pipes and manhole units. Max Kroker, a civil contractor based in Braunschweig, took care of the actual rehabilitation and expansion project applying a trenchless jacking technique. This method employs a pressure unit to advance jacking pipes from the launch to the reception pit. 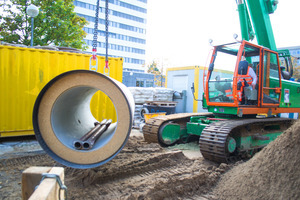 Controlled underground pipe jacking is a civil engineering method associated with many advantages, including cost-effective sewer installation in inaccessible areas and large depths as well as mitigation of environmental impact. This technique eliminates the need for excavating entire street sections whilst also preserving built-up and planted areas. Braunschweig-based civil contractor Max Kroker Bauunternehmung GmbH & Co. was commissioned with implementing the project. Owing to the high groundwater table, the company opted for an excavation design with watertight sheet piling in combination with an underwater concrete base. 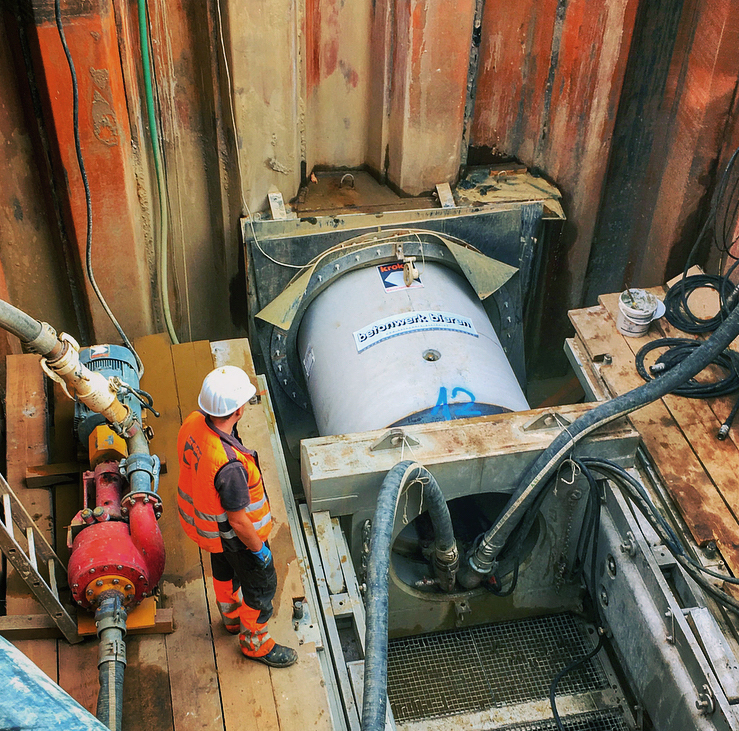 At a depth of about 6 m, the cutting head of the pipe-jacking machine penetrated the soil to install a 120 m long jacked pipeline section. For this purpose, Betonwerk Bieren delivered 3 m long, DN 1000 reinforced-concrete jacking pipes with an outside diameter of 1,490 mm. In-mold-cured pipe segments were used for the Hanover project to provide high dimensional accuracy and an exceedingly smooth surface. 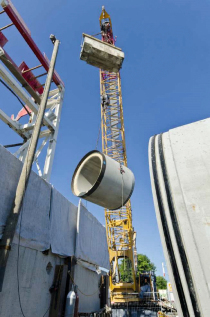 Betonwerk Bieren delivered another 170 m of reinforced-concrete pipes in diameters up to DN 1200 but also five up to 4.80 m high prefabricated box-type manhole units for sewer installation, each with a weight of up to 35 tonnes. 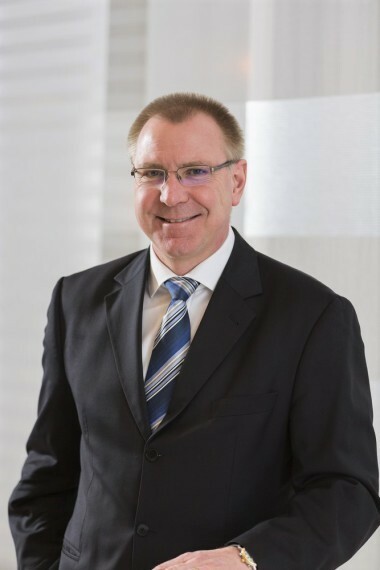 Technical and engineering matters were coordinated in close collaboration between Dipl.-Ing. 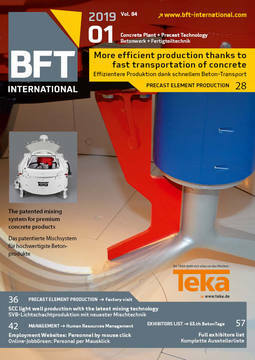 Thomas Berner, Technical Director of Betonwerk Bieren, and Kroker. In this context, the precast manufacturer based in Bad Oeynhausen was able to propose a perfectly suitable alternative to the originally specified cast-in-place manhole structure: “The specified structure appeared to be unnecessarily large. Also, we were convinced that the proposed alternative would greatly mitigate the potential risk in regard of water tightness because our proprietary formwork and concrete pouring techniques ensure impeccable tightness,” Thomas Berner says. 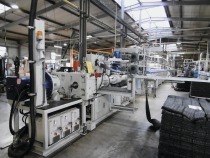 Bieren was thus in a position to recommend an alternative manhole structure, which convinced the customer on three counts, namely the elimination of risk factors, its significantly reduced weight, and the resulting tangible cost benefit. As a matter of fact, this proposal met all requirements and specifications communicated by Stadtentwässerung Hannover, the municipal wastewater entity.